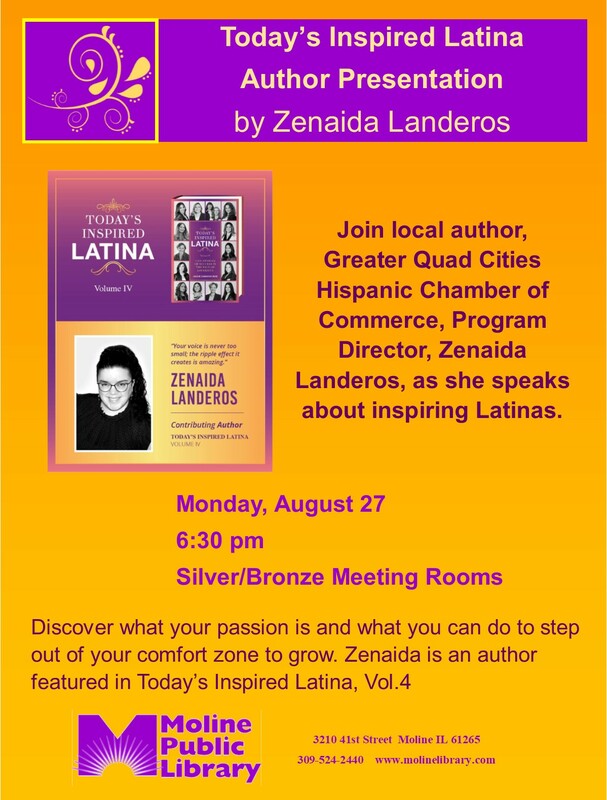 Join local author, Greater Quad Cities Hispanic Chamber of Commerce Program Director Zenaida Landeros, as she speaks about inspiring Latinas. Discover what your passion is and what you can do to step out of your comfort zone to grow. Zenaida is an author featured in Today's Inspired Latina, Vol. 4.